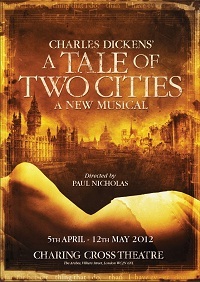 The new musical A Tale of Two Cities will be running at the Charing Cross Theatre from 5th April - 12th May in celebration of the bicentenary of Charles Dickens. Based on the Dickens story this classic tale tells of one man’s ultimate sacrifice for love, set against brutal conflicts between the rebels and aristocracy during the French Revolution and 19th century London society. Jonathan Ansell will be playing Charles Darnay the French once-aristocrat who falls victim to the indiscriminate wrath of the revolution despite his virtuous nature. More casting details to follow. Dramatically staged by Paul Nicholas with Music by David Pomeranz and Book by Steven David Horwich and David Soames, John Cameron’s (Les Miserables) moving musical arrangements underscore Horwich’s compelling lyrics. Really looking forward to seeing this production. So pleased that Jonathan Ansell is playing Darnay: he'll be marvellous and his voice is spectacular. 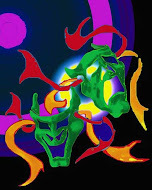 I am so excited about the forthcoming production. Jonathan Ansell will be a superfantastic Charles darney. When he sings he will set shivers down your spine. Will be great with Jonathan starring and that voice of his is to die for - hold onto your hats when he hits those high notes and any emotional scenes he sings I shall be in bits !! !